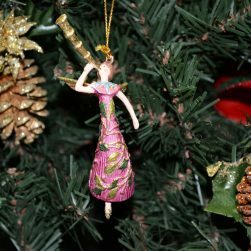 This is a lovely champagne miniature Christmas angel ornament is joyously trumpeting out the musical sounds of Christmas. A beautifully hand made and hand painted Christmas ornament. 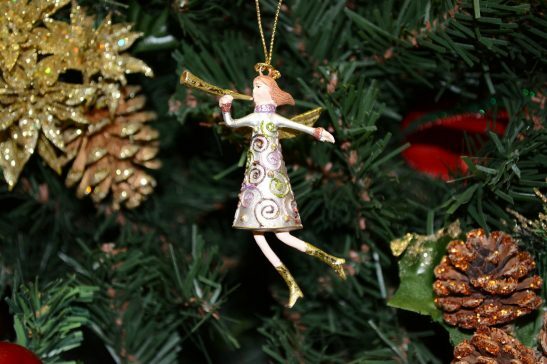 A great addition to any Christmas tree or in-home Christmas decoration. 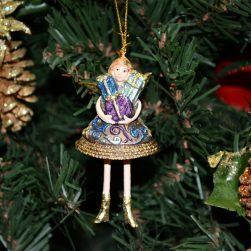 Be the first to review “Miniature Champagne Christmas Angel Ornament – Miniature” Click here to cancel reply.